The College announces with great sadness the death of Professor Alan Cuthbert, Master 1991-1999 on Saturday 27 August, aged 84, and extends its condolences to his wife, Hetty, and family. 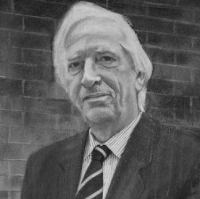 Alan Cuthbert, FRS, FBPhS, FMedSci was Sheild Professor of Pharmacology 1979-1999 and the 2005 recipient of the British Pharmacological Society Wellcome Gold Medal. He served as President of the Federation of European Pharmacological Societies from 2000 to 2002. He was a Fellow of Jesus College from 1968-1991 and became an Honorary Fellow in 1991. A full obituary will be in the Fitzwilliam Journal to be published later in the year. There will be a Memorial Service to celebrate Alan Cuthbert's life in the Chapel of Jesus College at 2:00 pm on Saturday 5 November, to which all are welcome.